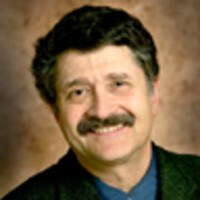 Obama used negative ads to depress the GOP-leaning independents Romney needed to win, says Michael Medved. To paraphrase the traditional Passover formulation honored in Jewish homes: why was this election different from all other elections? What makes 2012 stand out in recent political history, either as a temporary anomaly or a significant, long-term shift in the electorate? The most striking change in the results this year involved a precipitous and alarming decline in voter participation, a drop-off that stemmed from a deliberate strategy by the Obama campaign and almost certainly provided the president with his margin of victory. Meanwhile, much of the conventional wisdom about the results has been fatuous and unsubstantiated, ignoring the troubling reality of disillusioned voters. For instance, there’s no basis for the common claim Obama won through a superb, unprecedented, supremely effective get-out-the-vote effort by the Democrats. Even downcast Republicans have hailed the opposition’s turnout operation as magnificent, but they fail to note that it resulted in far fewer voters showing up for President Obama. The president drew 7.6 million fewer votes than he did in the hope-and-change election of 2008. His vote total, 61,911,000, is far closer to the numbers in Sen. John Kerry’s losing bid in 2004 than to his own triumphant support four years ago. Even the reviled President George W. Bush earned more raw votes, from a much smaller potential electorate, in his own reelection bid than Obama did in his. It’s also not true that a powerful surge of new black and Latino support powered the president to victory. Exit polls showed that Obama got a slightly smaller percentage of the black vote than last time and that turnout was sharply down, delivering at least 1.5 million fewer African-American ballots for the Democrats. A slightly enlarged Latino electorate and an increase in the president’s percentage of Hispanic voters, to 71 percent from 67 percent, did provide him an additional 700,000 votes, but the falloff in black support still meant that overall “minority votes” for Obama went down, not up. As to the claim that Obama pulled out a win in this highly competitive election cycle by building up his backing among working-class whites in Ohio, Wisconsin, and other key battlegrounds, the evidence shows the president losing, not gaining, ground with this badly battered segment of the population. Among white voters overall—still 72 percent of total ballots, down from 74 percent in 2008—Obama lost to Mitt Romney in a devastating landslide, 59 percent to 39 percent. Four years ago, he also lost the white vote, but by a far more modest margin of 12 percentage points rather than the 20-point blowout this year. Compared to his Election Day performance in 2008, Obama lost more than 7 million white votes. How, then, did the president manage to prevail over a confident, well-funded, united opposition at a time of economic anxiety and 7.9 percent unemployment? He and his supporters succeeded in discouraging and disillusioning the Republican and independent voters Romney needed for victory. In post-election comments, GOP strategist Karl Rove argued that the Obama campaign succeeded by deliberately “suppressing the vote,” a response to Democratic accusations of Republican “voter suppression” schemes. Although most opinion leaders dismissed Rove’s observation as the sour grapes whining of a notably sore loser, it’s impossible to argue with his numbers: Mitt Romney and Paul Ryan drew 1.3 million fewer votes than the allegedly hapless ticket of John McCain and Sarah Palin. Given the undeniable fact that some significant number of voters who backed Obama last time switched their support to Romney in 2012, helping to produce the president’s 7.6 million decline in support, several million Americans who cast ballots for McCain-Palin four years ago must have chosen to stay home for this election. The numbers generally produce puzzled and disbelieving reactions from GOP strategists and activists. Throughout the campaign, the same pollsters who accurately called the final state-by-state results also reported on a consistent enthusiasm edge for Republicans. By a significant margin, GOP voters described themselves as more excited and more energized by the prospect of voting than their Democratic counterparts. That advantage led nearly all of the most prestigious conservative pundits to defy pollsters who predicted a narrow Obama victory and to argue that a more motivated and enthusiastic Republican base would turn out in big numbers and carry the day on Nov. 6. After all, Romney became a far more unifying candidate than McCain, with leaders in every faction of the party—including Ron Paul’s son, Sen. Rand Paul—campaigning for him across the country. Moreover, Ryan inspired the party’s conservative core much as Palin did, but without generating questions from the press or public about his seriousness on the issues or his preparation for national leadership. In the end, the enthusiasm edge may have helped drive right-wing true believers to the polls in disproportionate numbers, and self-described conservatives outnumbered acknowledged liberals by 35 percent to 25 percent, according to exit polls. But this advantage couldn’t compensate for the no-show status of Republican-leaning independents, who contributed to the overall shrinkage of the electorate. Curtis Gans, director of American University’s Center for the Study of the American Electorate, noted that figures from every state but Iowa showed a smaller turnout than in 2008. “This was a major plunge in turnout nationally,” he declared, predicting a total number of ballots similar to the Bush-Kerry race of 2004, despite a rise in 20 million in the voting-age population. For the Romney team, this falloff in participation represents a special frustration, given the vastly increased monetary investment in their campaign compared with the McCain effort, which could be the last ever general-election campaign to accept federal funds, along with their accompanying financial restrictions. With the unprecedented levels of spending by both sides in this election cycle, totaling more than $6 billion for all races at all levels, how could it be that far fewer voters cast ballots? The sad reality is the lavishly funded ad campaigns worked as intended. A report from the Wesleyan Media Project suggests that an astonishing 86 percent of all campaign commercials by the Obama campaign and allied groups featured negative messages about Romney. These attack ads aren’t supposed to inspire your people to go to the polls; they’re meant to dissuade the other guy’s supporters from going to the polls. The purpose of negative advertising is to discourage, not encourage, voting. The advertising avalanche by the Democrats highlighted Romney’s wealth, offshore bank accounts, job-exporting background at Bain Capital, expensive Olympics horse, bad singing voice, mistreatment of his dog, unpublished tax returns, murder-by-cancer of a steelworker’s wife, and general heartlessness and cluelessness. The Obama team knew full well that such messages would never persuade committed partisans to switch support from the Republicans to the Democrats and could even alienate a few of their own backers, particularly women, with their overall nastiness. But if the ugly tone of the campaign kept right-leaning independents or even undecided voters away from the polls then it would be worth it, shrinking the field of potential recruits Romney needed to close the gap and win the election. In short, the impact of such an unpleasant campaign almost always will prove more damaging to a challenger trying to attract new votes than to an incumbent who needs only to hold on to the bulk of his old base. In this election, the lower overall turnout clearly helped Obama. The president got a smaller share of the vote in 48 of 50 states, everywhere except Hawaii and Mississippi, but he retained enough support in the diminished electorate to hang on to the White House. Lacking any confidence that they could reinspire cynical, disillusioned citizens about the glories of hope and change or the president’s heroic first-term achievements, the Obama high command settled for producing a general distaste for both candidates and even for the political process itself. I visited Ohio the week before the election for a Cleveland town-hall meeting to generate enthusiasm for the Romney-Ryan ticket. The universal complaint from people on the ground in that crucial and advertising-saturated swing state involved thoroughgoing disgust, even rage, at the way nasty attack ads had taken over all the networks and cable outlets. The negativity couldn’t discourage the conservative activists who came out by the thousands to participate in our event, but it’s easy to see how the nasty tone might lead others to turn off the tube altogether and to tune out a political season that had turned unspeakably petty and bitter. This Democratic investment in negativity may have helped Obama win his bare majority of a radically shrunken electorate, but it also contributed powerfully to the sour national mood and to the widespread perception that the neither of two flawed candidates offered the nation an optimistic path forward. Worst of all, the apparent success of this strategy makes it increasingly likely that future campaigns will follow the Obama example and pursue victory by alarming and discouraging, rather than inspiring and motivating, the already gloomy populace of a preternaturally pessimistic nation. With pundits already prognosticating over potential candidates in 2016, when both parties will face wide-open nomination fights, it’s not too early to suggest a radical approach that could help one of these contenders stand out. If a major candidate committed from the beginning of his or her campaign to forgo attack ads in both the primary process and the general election, and instead pledged to concentrate on laying out a positive vision for change, that optimistic leader might help energize the cynical and disillusioned segments of media and the masses. It’s even possible that such a candidacy could serve to mobilize some of the 100 million(!) eligible voters who declined to take part in the substantive, dramatic, but ultimately dispiriting election of 2012.